When it comes to business travel, there is really only one way to go: executive jets. No other mode of transportation offers the flexibility and the resources that a well-equipped business aircraft can offer; everything is customised to individual requirements, from accommodating schedules to the internet speed onboard. 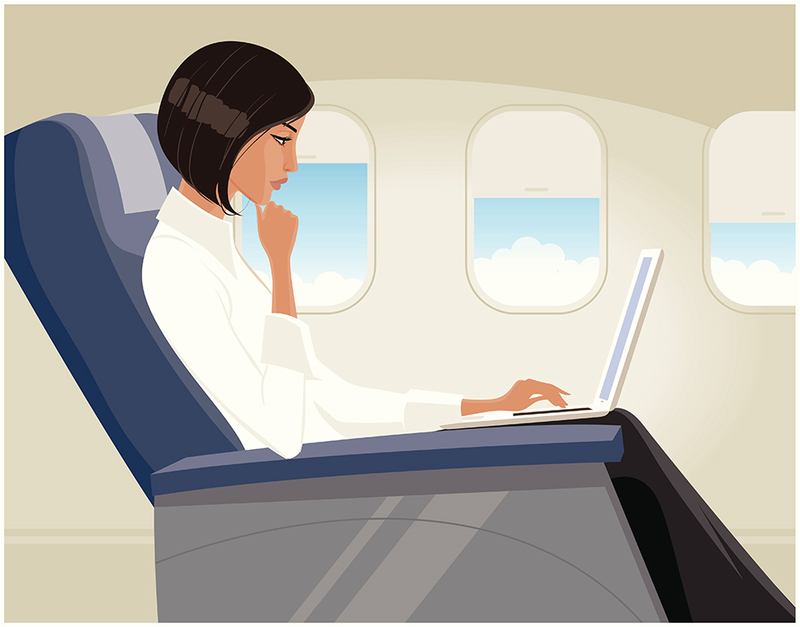 To be able to make travel time more efficient and productive is a valuable tool for top-rate executives. But it has not always been this way. Over the past decade the aviation industry has changed a lot and grown at breakneck speed. 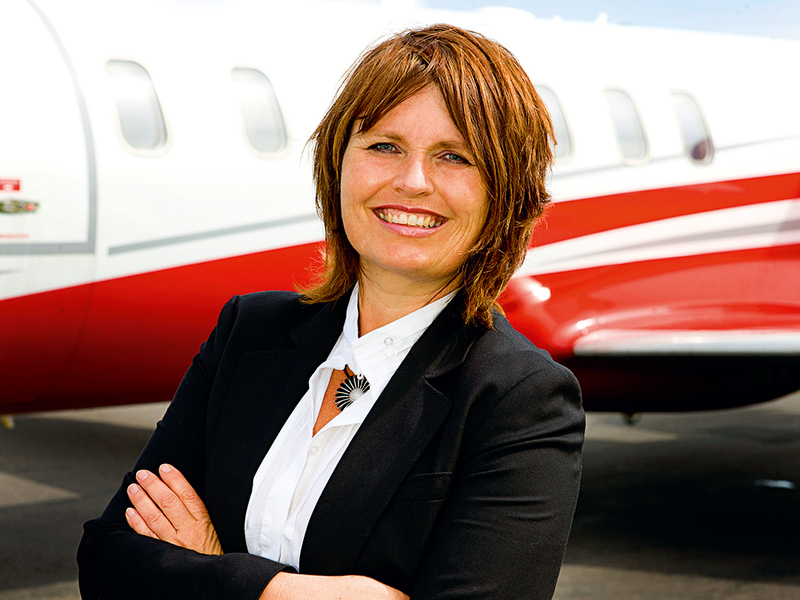 Karina Larsen, CEO of Satcom1, an aeronautical satellite communications solutions provider, says that even though observers expected the private aviation industry to shrink in the wake of 9/11, it in fact expanded. “Actually what happened is that a lot of private individuals and businesses realised they need to have business jets as a matter of risk management,” she explains. Satcom1 went live in 2003, just as the industry was booming and there was a real gap in the market for adequate communications provisions for business jets. “The first satcom system was introduced in 2002 introducing internet and email on board the aircraft, and that was really a defining moment in aviation. A lot of new aircraft purchases were borne out of this development, but there was also a major impact in what type of communication companies could do in the aircraft.” According to Larsen, the private aviation market is showing no signs of slowing. “Between 2012 and 2022 it is estimated that anywhere from 6,500 to 10,000 new business jets will be purchased,” she says. And that number doesn’t include the retro-fit market, where buyers acquire older models and re-fit them with new technology. Larsen describes the shifting industry as a “highway in the sky” that is “kind of overloaded right now”, but technology that is in the pipeline will optimise the capacity on this highway. “The new technology they are implementing on computer data, the aircraft can fly closer to each other, communication towers will have a better idea of incoming and outgoing flights and that will mean on take-off and landing they actually reduce the time between aircrafts. It will improve operations.” All of these developments are dependent on technology similar to what Satcom1 delivers. Working closely with the engineering and IT departments, Larsen launched the second-generation internet and email capable modems, before leaving for a different position. But her interest in aeronautical satellite communications solutions never faded, and in 2003 Larsen joined forces with two partners – one has since departed – to launch Satcom1. Because of Larsen’s technical background, Satcom1 has always been a very innovative company. Responding to demand from clients, it is about to launch satellite communications for helicopters. From 2014 the company will be providing its services to all sorts of helicopters, “from private crafts that require onboard televisions, to service helicopters that pick up refugees in remote locations”, explains Larsen. “The challenge has always been to manage the rotor wing, so we had to redesign the network in a way that it compensates for the fast interruptions. It involves a lot of satellite and hardware improvements and we will be ready to launch in 2014.” She relishes the challenge, and this permeates everything that Satcom1 does. From the perspective of private individuals and companies, Larsen believes that investing in adequate solutions for business jets now is about risk management and efficiency. There are certainly plenty of opportunities emerging in the aeronautics industry, as Larsen is keen to emphasise, and Satcom1, through ingenuity and innovation, is poised to continue on its upward trajectory.